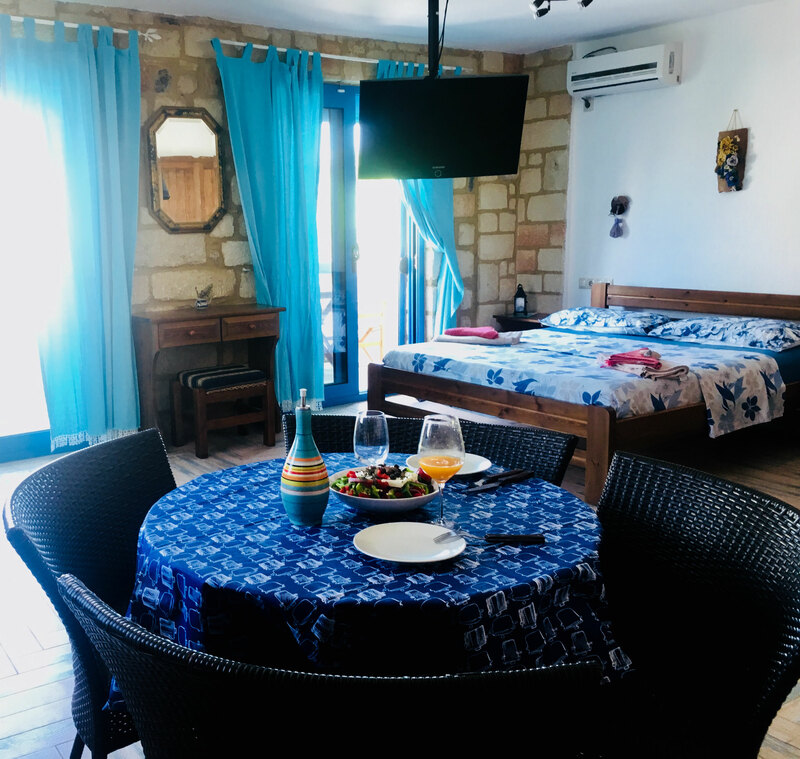 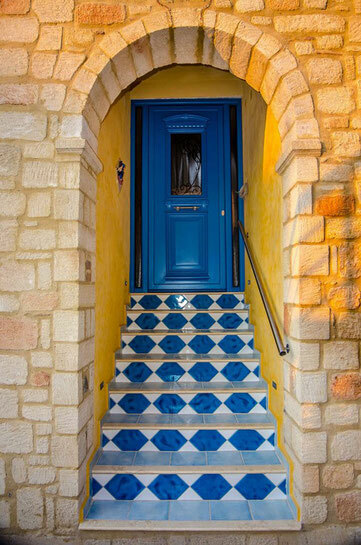 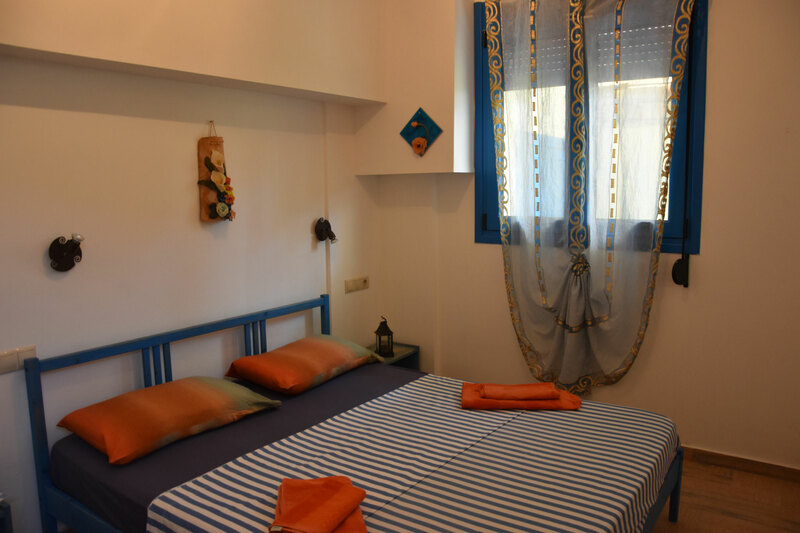 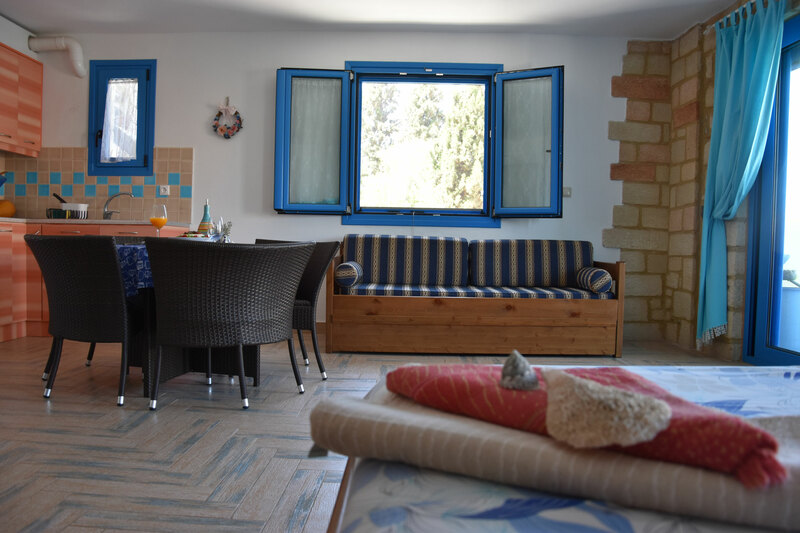 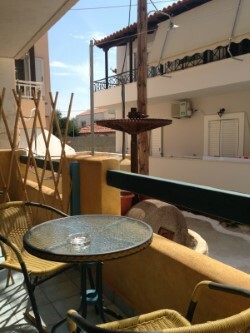 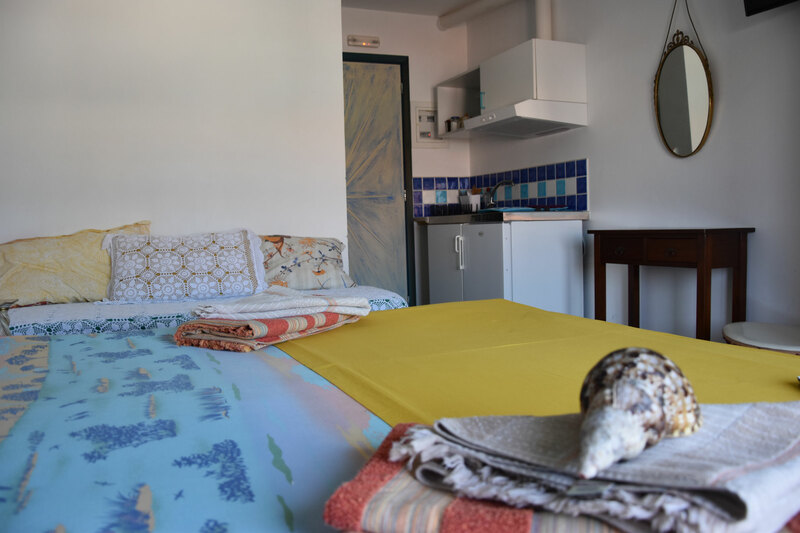 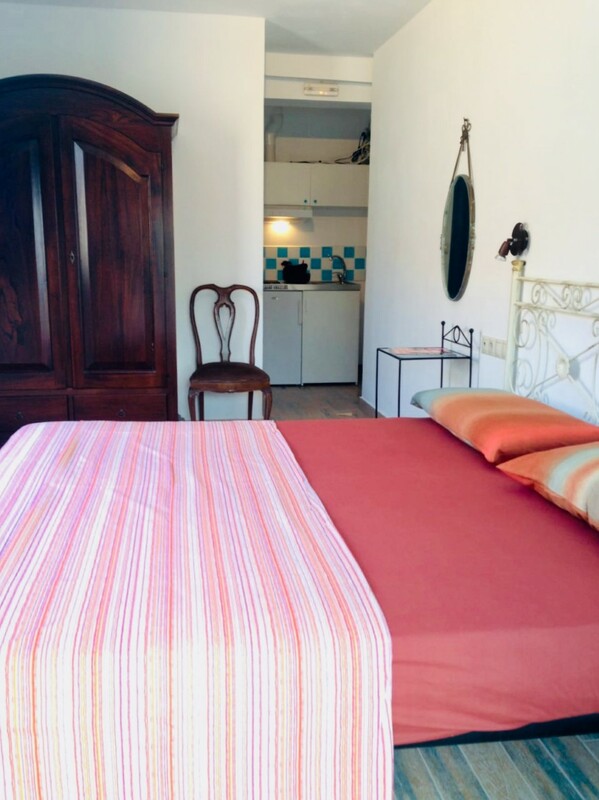 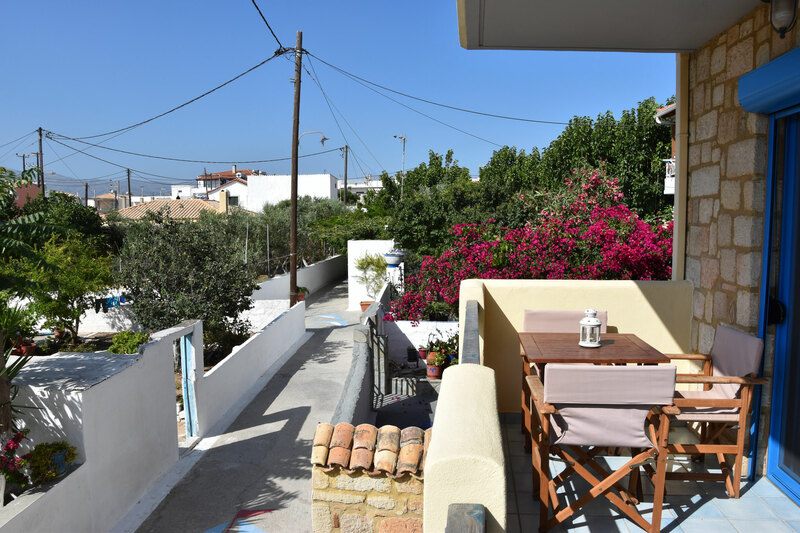 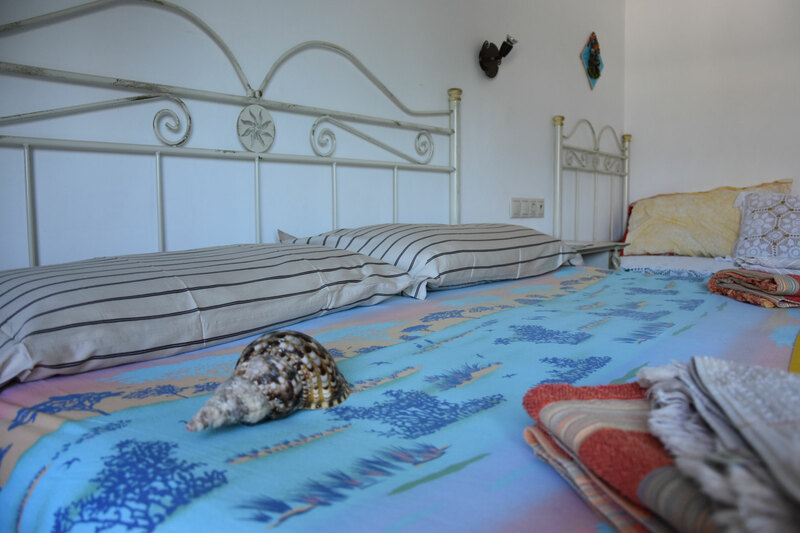 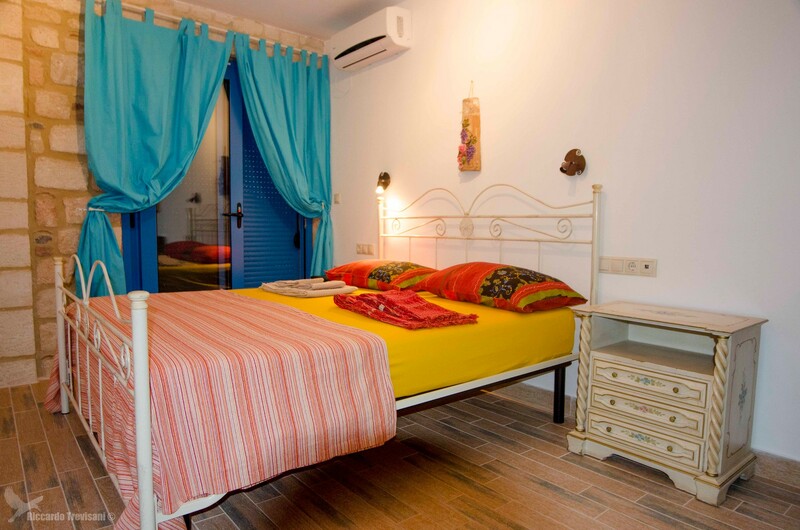 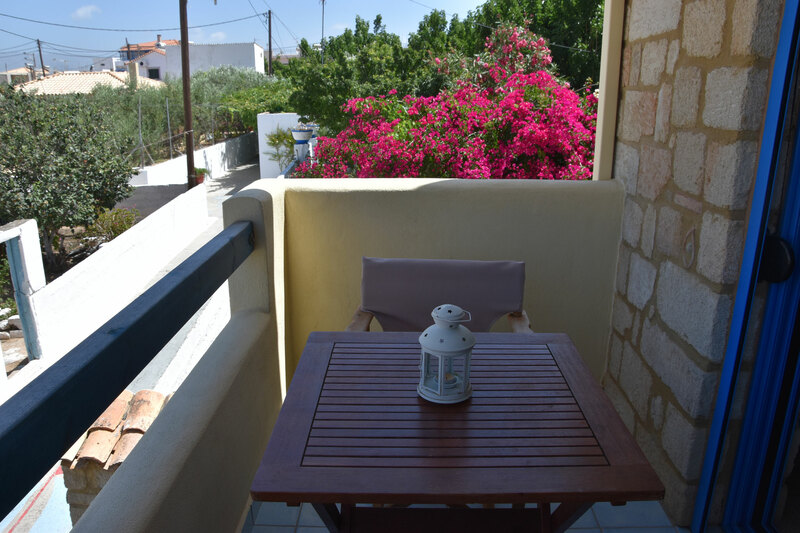 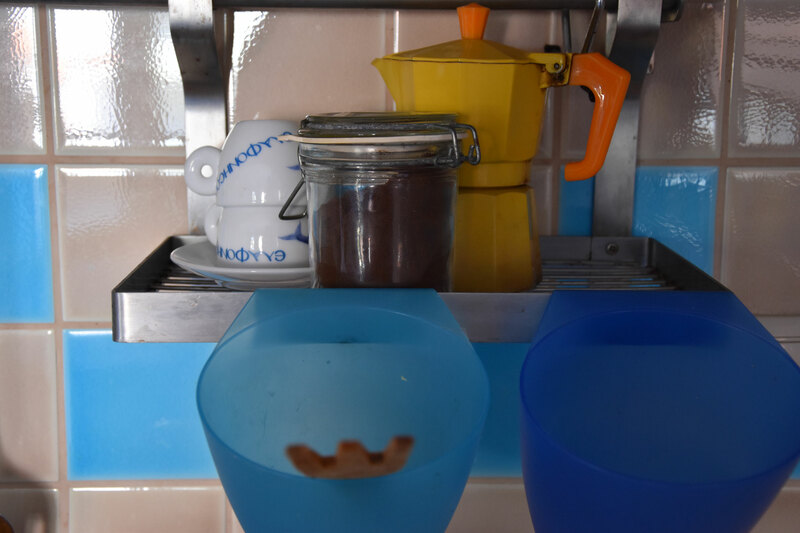 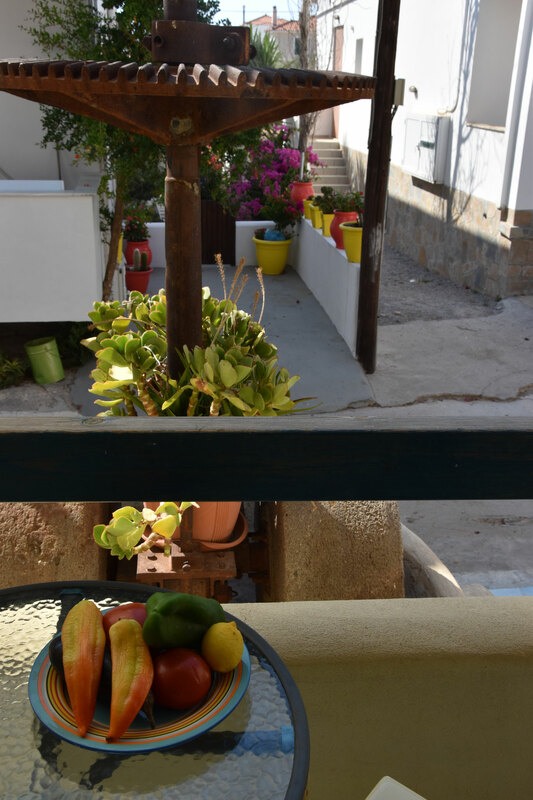 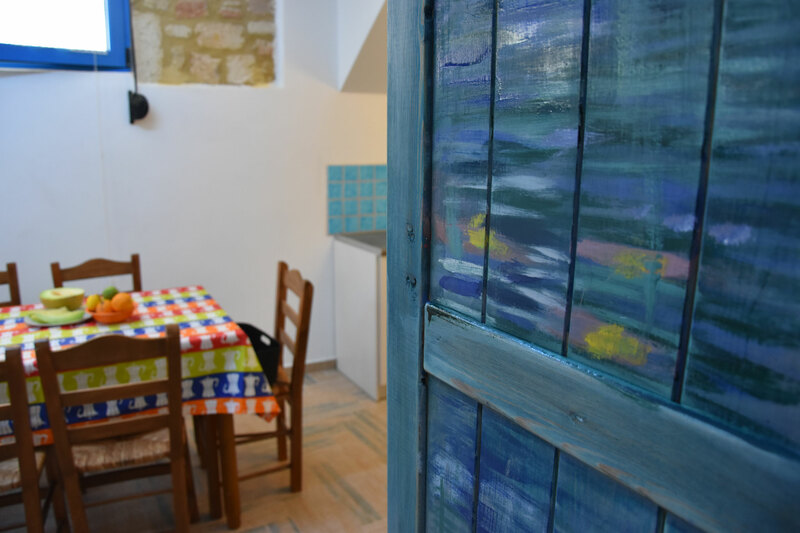 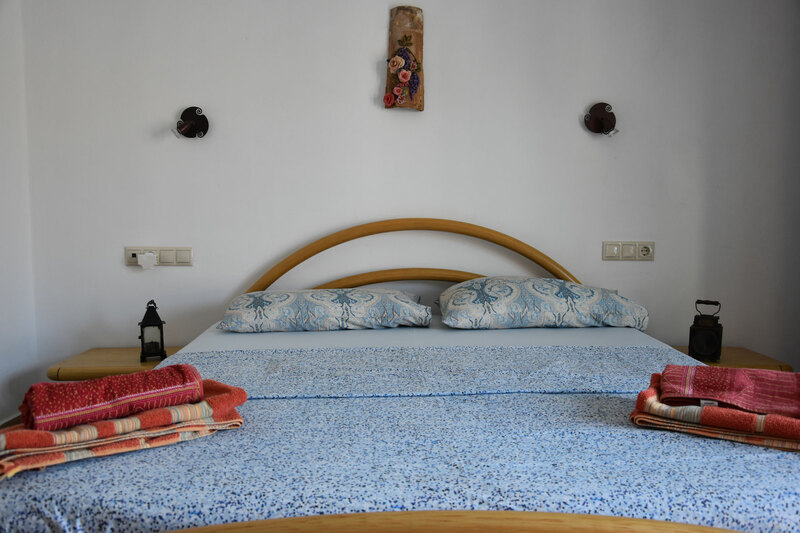 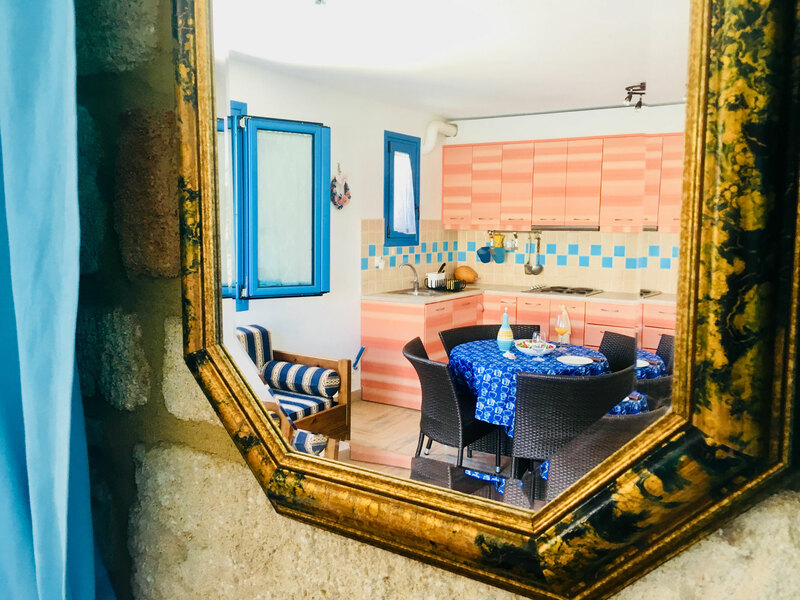 Rooms - Benvenuti a Elafonissos splendida isola Greca! 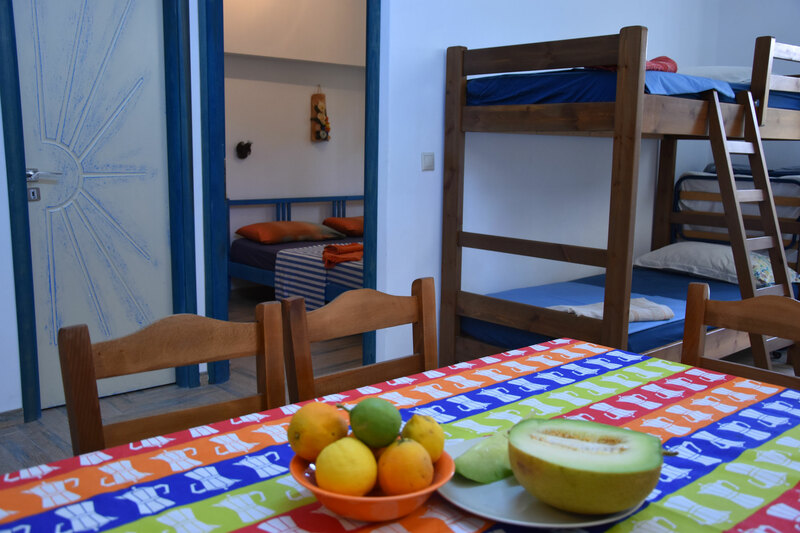 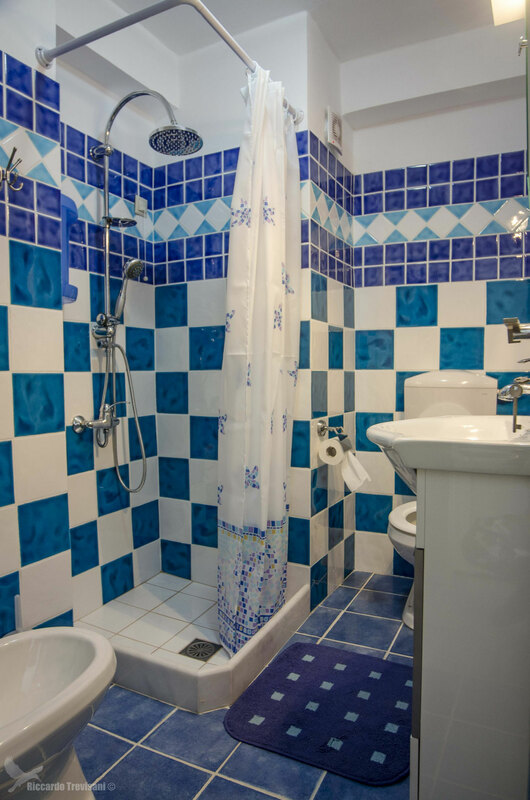 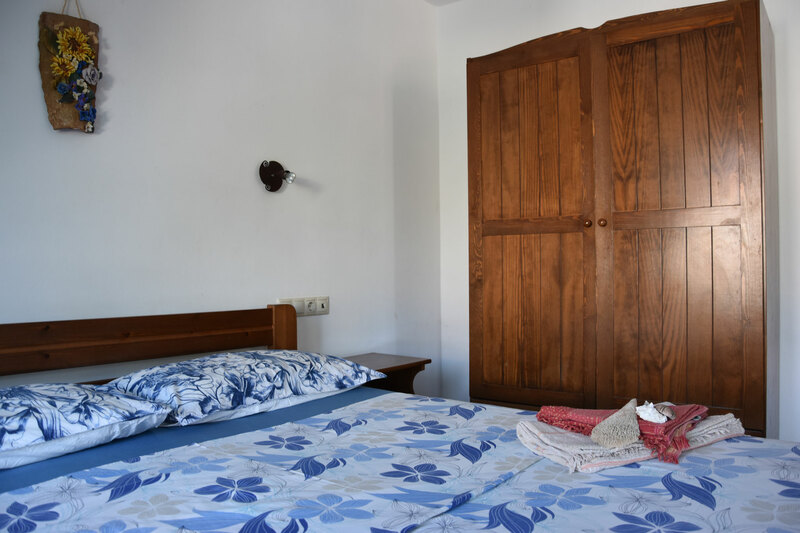 Our structure consists of 6 rooms for 2/3 people and 3 apartments for 4/6 people, all equipped with shower bath, kitchenette and balcony. 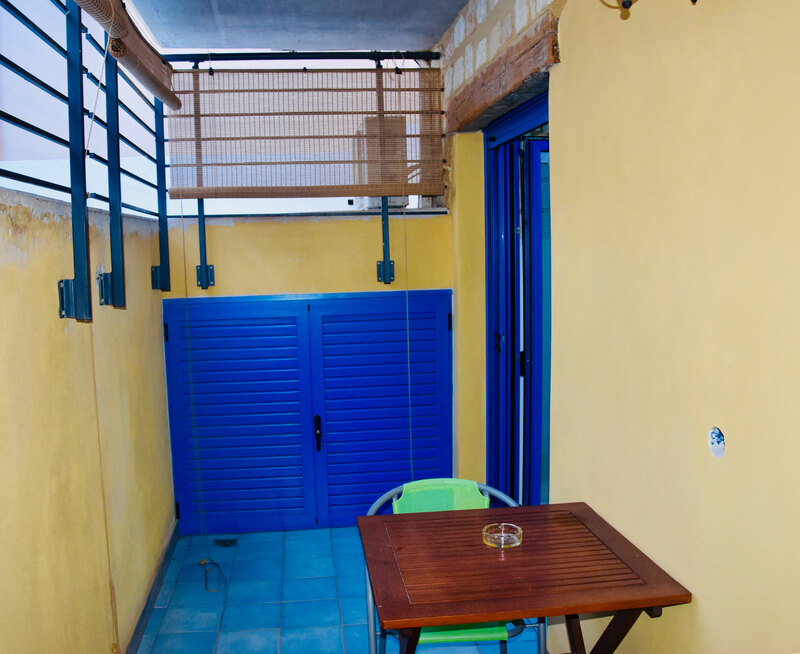 Equipped with air conditioning LCD TV and wi-fi. 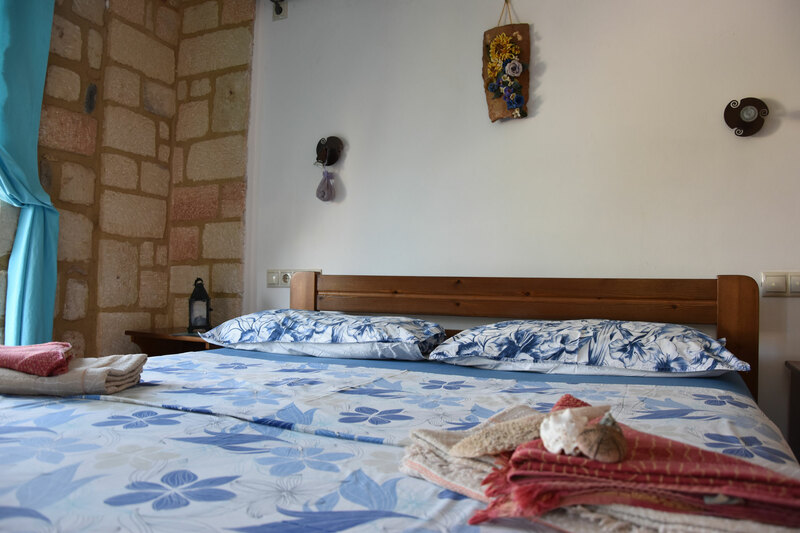 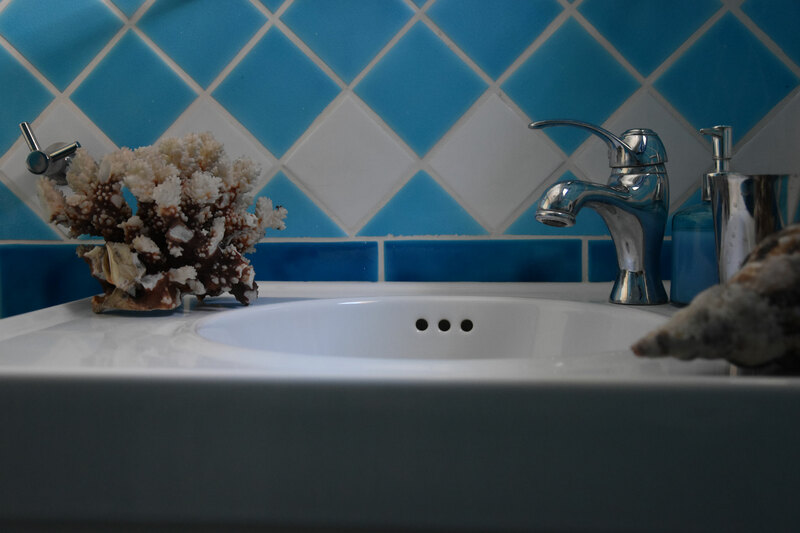 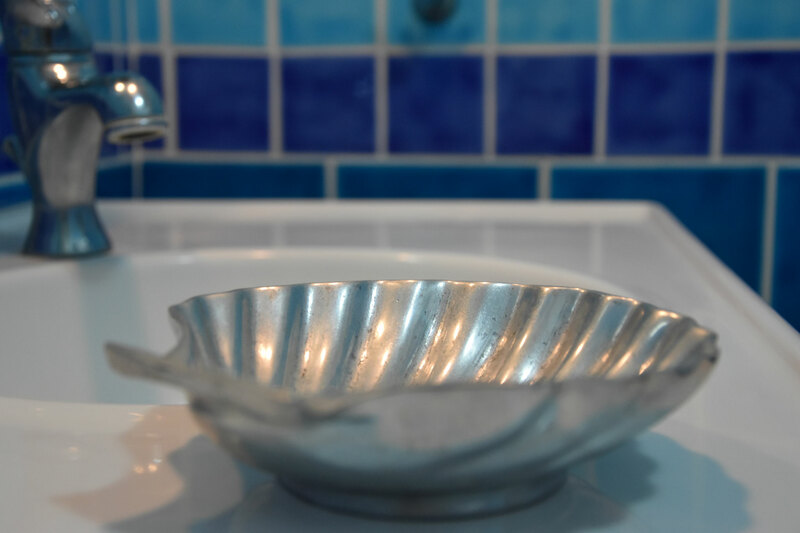 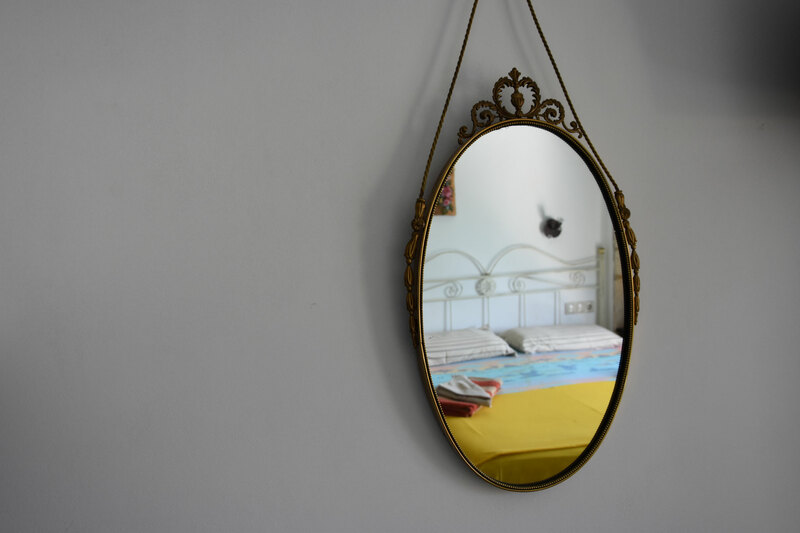 We are at the center of the quaint little village, equipped with every comfort. 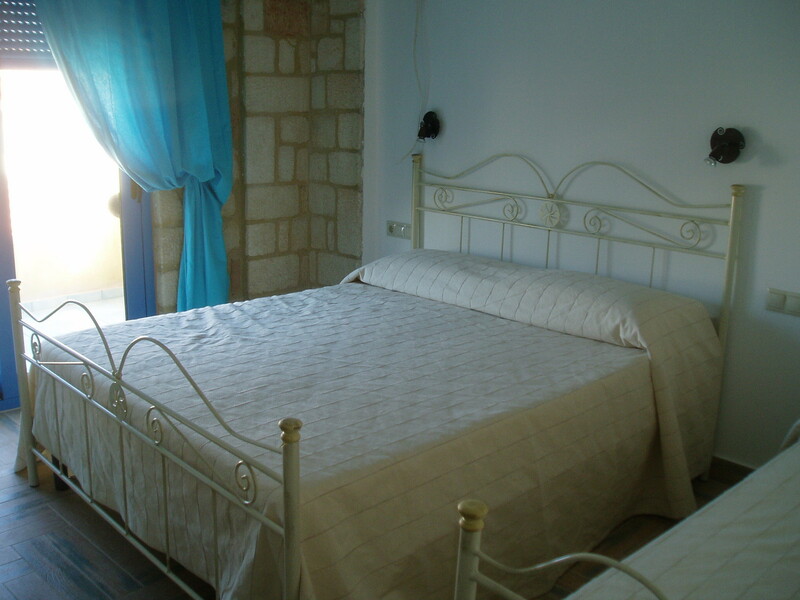 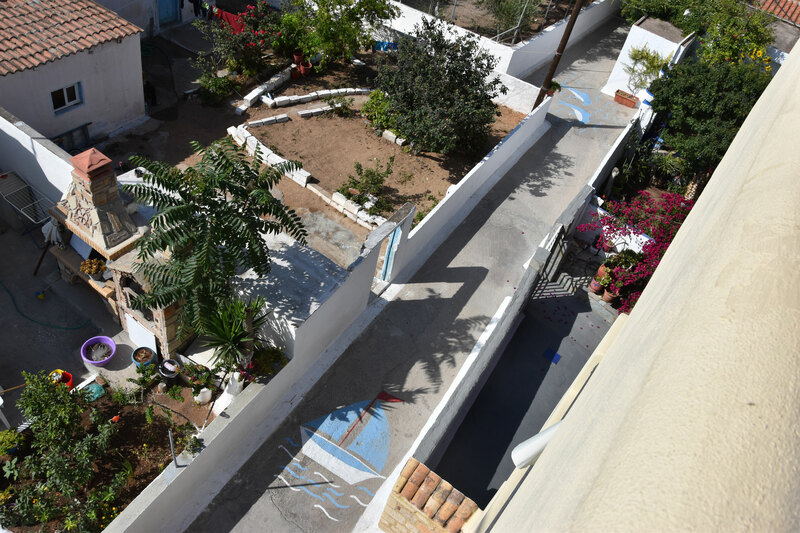 Apartment located on the first floor, open plan fitted kitchen, double bed 160cm, sofa bed (separate or double) shower bath. 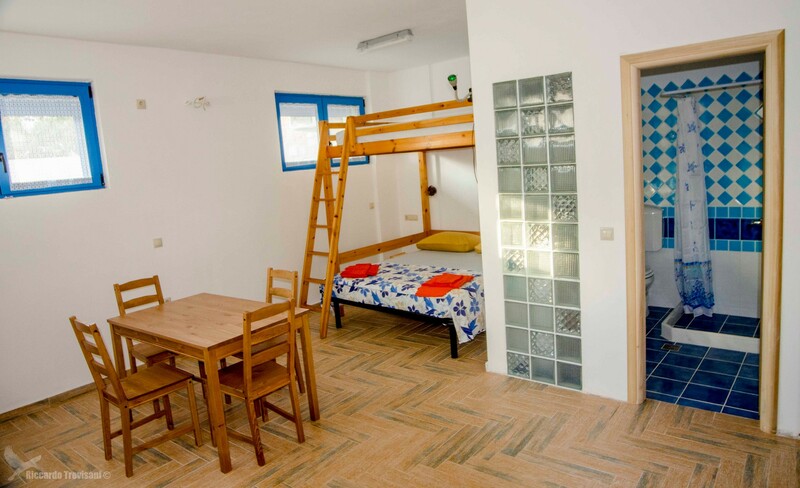 Apartment for 4/6 persons, composed of: double bedroom, living room with kitchen, bunk bed, sofa bed, shower bath and outdoor space. 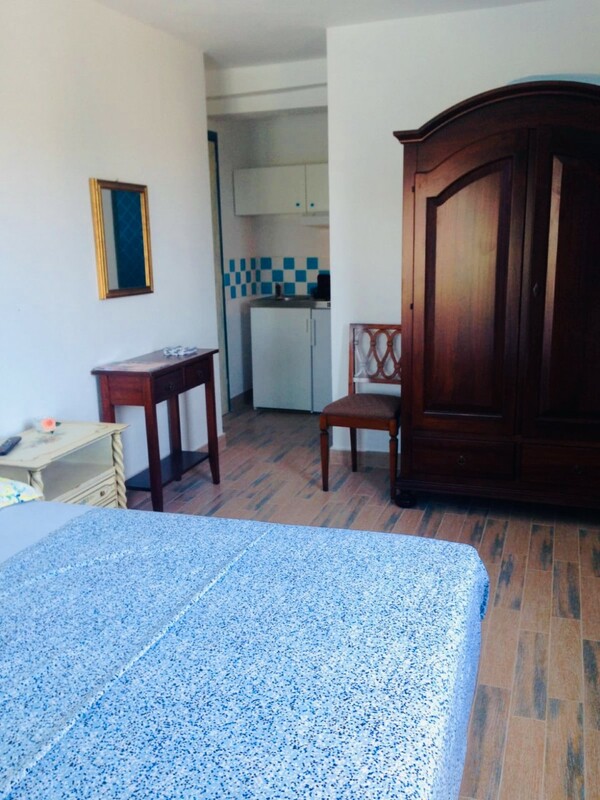 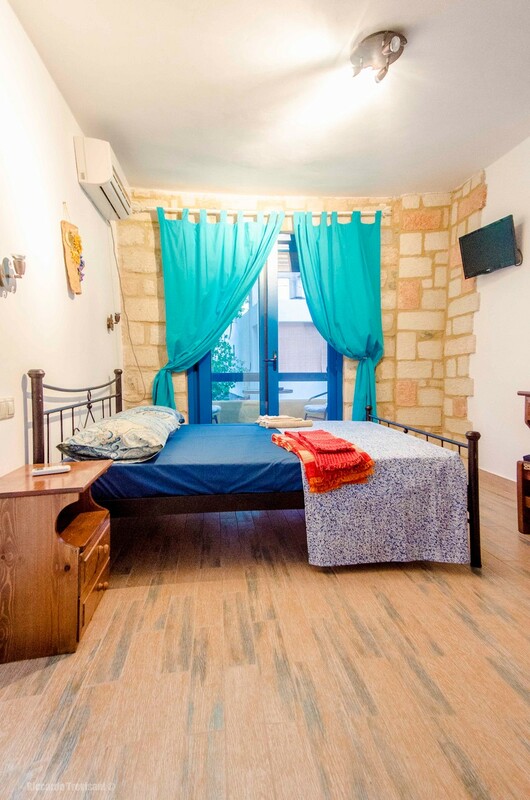 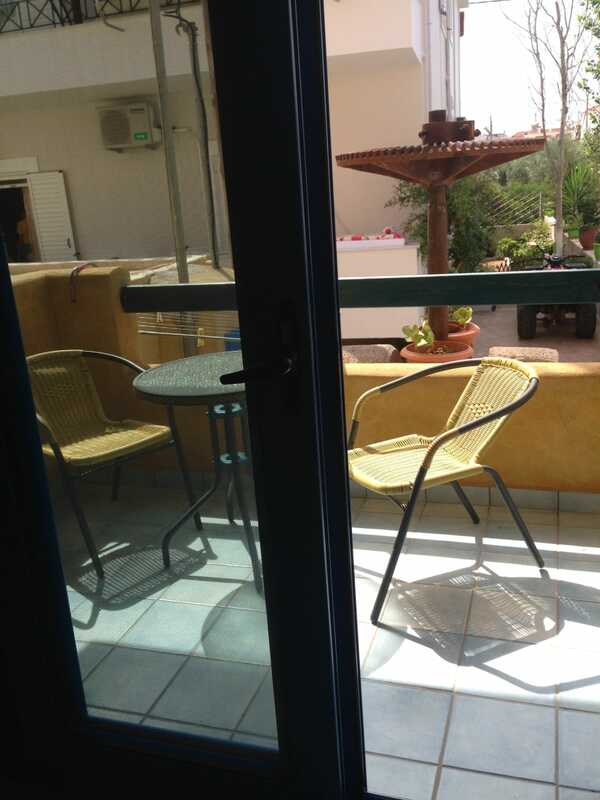 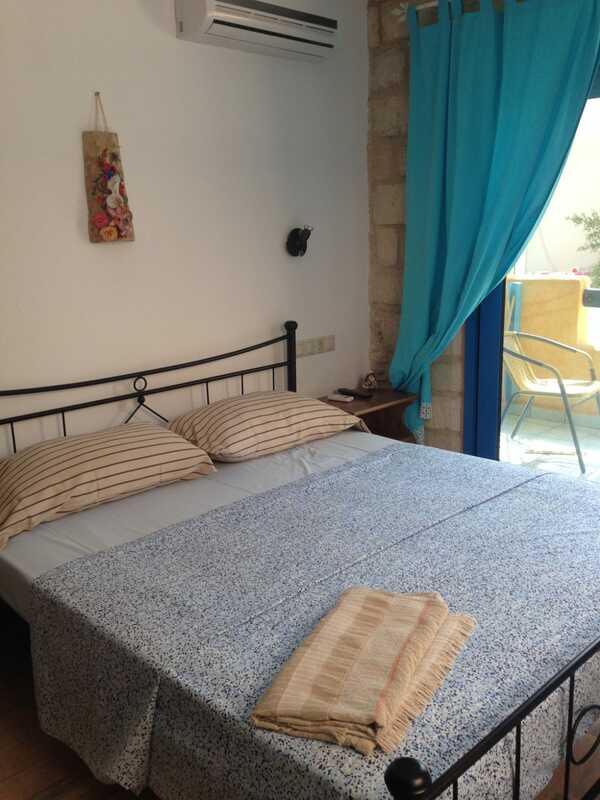 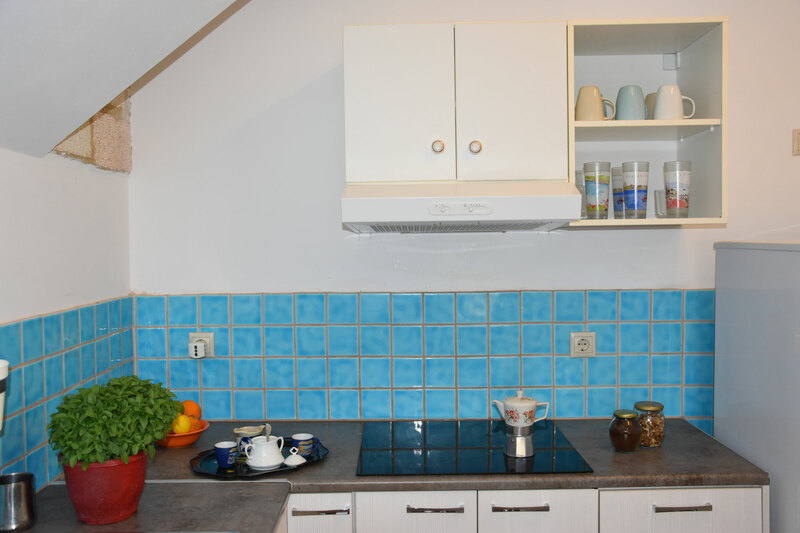 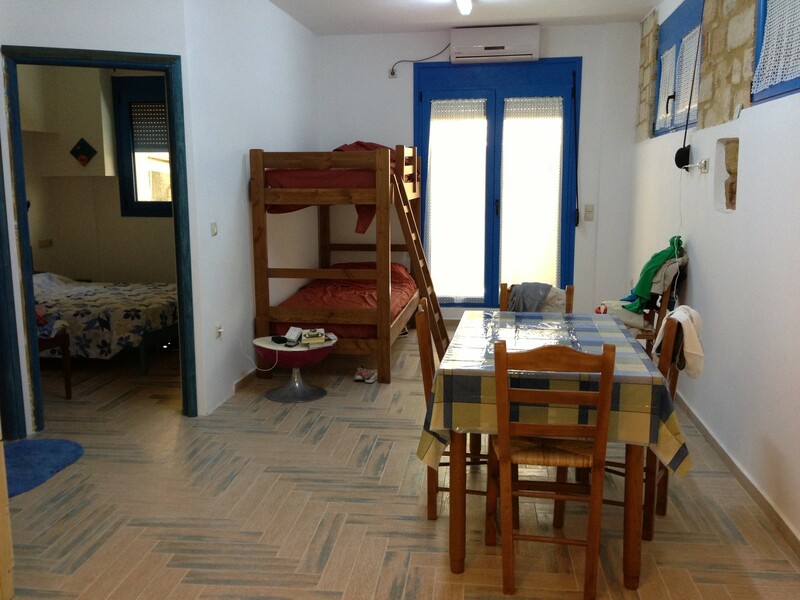 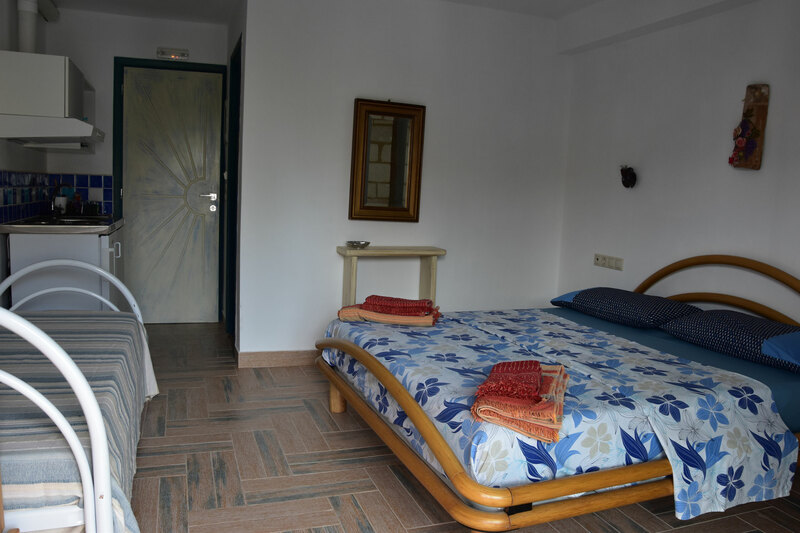 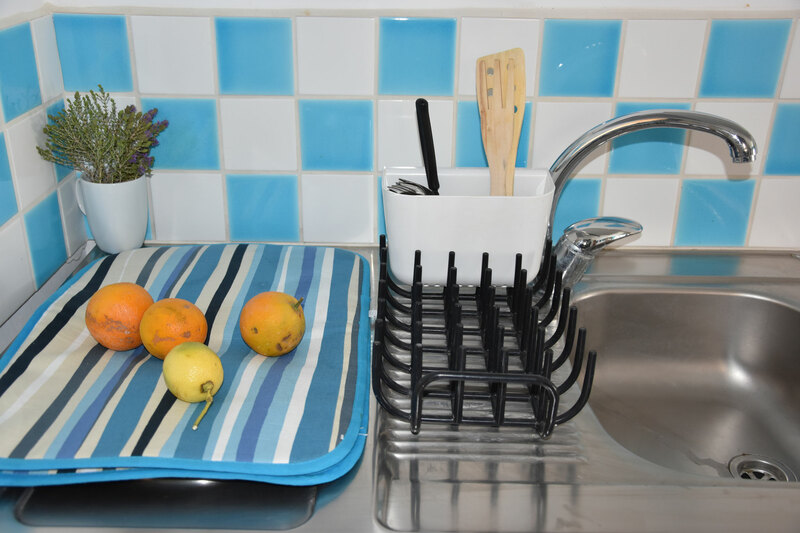 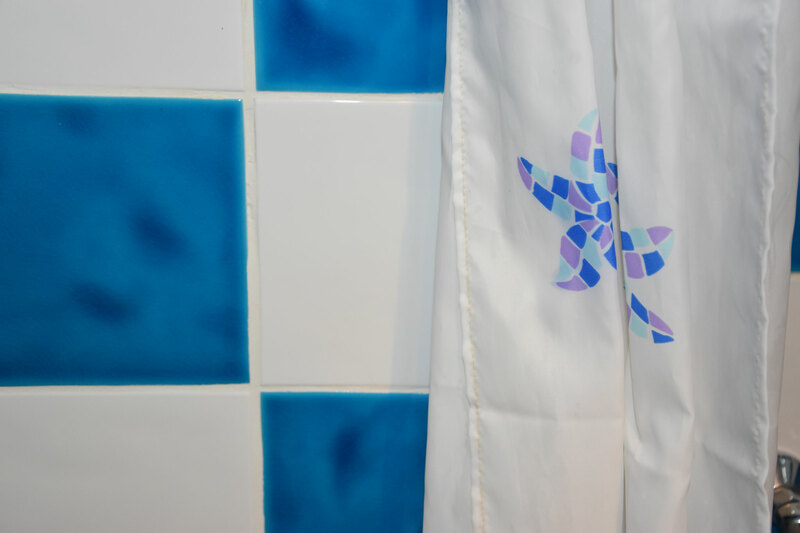 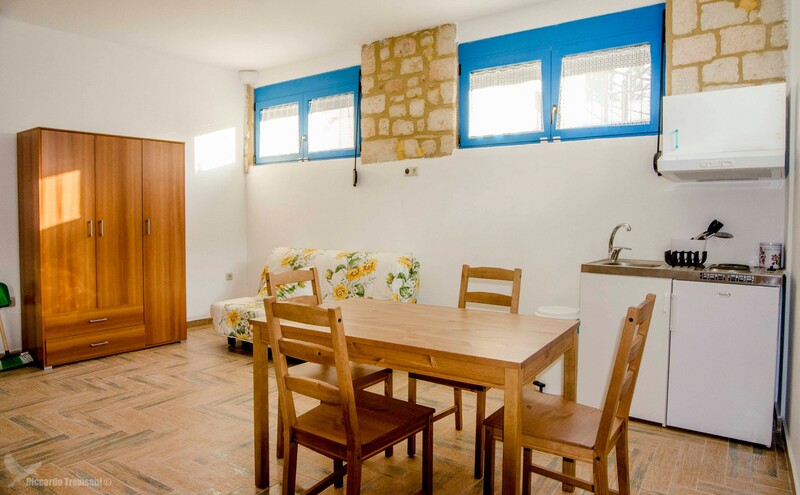 Studios 2 beds consisting of double bed (or twin beds), kitchenette, shower bath and balcony.